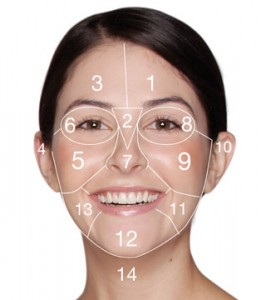 Armed with Dermalogica’s unique Face Mapping skin analysis, the Dermalogica professional skin therapist at Soma Laser and Skincare Clinic in Pretoria we will decode your skin zone by zone and equip you with real advice and results-driven regimen only available from a trained professional. Briony Griffiths, the primary skincare expert at Soma Laser and Skincare Clinic previously worked for Dermalogica headoffice for 2 years and has over 7 years experience in Dermalogica facials. She is a Dermalogica Gold Status Premium Skincare Professional as recgonised by The Dermal Institute of South Africa. We’re far too interested in guiding you to a new level of skin health fitness! So, while our packaging may not be designed to color-coordinate with your bathroom, you can always be sure that we’ve spent our time on delivering your skin the high-performance formulas it needs. Plus, we’ll never use common “beauty” ingredients like Mineral Oil, Lanolin, artificial colors and fragrances or other cheap fillers. Sure, it’s easier to formulate with them, but the bottom line is they’re just bad for your skin. Instead we use ingredients taht we know will work. Our confidence is founded by skincare therapists worldwide who use our products everday because they get results. Skin is a living part of your body (your largest organ, in fact), that defends against environmental assaults and extreme temperatures. It helps eliminate toxins from the body. It heals from cuts, abrasions and scratches. It’s continually renewing and protecting. So why do you dote more on your hair and nails – two items on your body that aren’t living? Your skin needs personal attention from an expert– and that expert is a Dermalogica Professional Skin Therapist. Dermalogica Professional Skin Therapists are licensed, highly educated skin health experts trained to prescribe Dermalogica products and deliver Dermalogica professional skin treatments. They have the answers to your most pressing skin care concerns. They know how to deliver real and visible results. They’re the best in the business, and have an extraordinary passion for taking care of your skin.